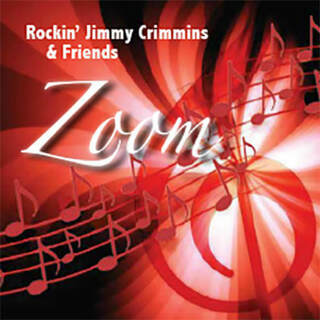 ​The Zoom CD just released! ​Buy now at CD Baby! Harness the raw power and charisma of rock and roll in your sales effort with help from Jimmy Crimmins, respected musician, businessman and sales expert. After helping turn the Hollywood Guitar Center into a household name in the ‘80s to blowing the doors off the real estate market today, Jimmy has the wisdom you need to connect with and persuade people like never before. As an author of his powerful sales instructional book, Rockin’ Selling Secrets, a consultant, mentor and motivational speaker, Jimmy will help you realize your true potential. Jimmy has lived a life that uniquely merges music and sales, and has helped build iconic brands, sold to the biggest names in rock and roll and driven sales forces to meteoric growth across multiple industries. He has also taken made a dent in the music industry with virtuoso-level performances that leave audiences transfixed. Now, his mission is to teach you and your team to move people through sales! ​Jimmy was born in Madison, Wis. He took up the guitar at 12 after seeing B.B. King perform on television, and by 13 he formed his first band and started gigging heavily. 1976 saw Jimmy landing in Los Angeles to pursue his music. He had no job lined up, but had to be where the music was. That's when Jimmy had the opportunity to spend an entire day with Maya Angelou, who set Jimmy in a whole new direction. Maya's advice was to learn about the music business, network, and to make your mark and be memorable where ever you go. She also suggested he apply at the world's largest music store, Guitar Center, Hollywood. Jimmy took Maya's advice to heart and landed an eight-year career with GC, which at that time had only three stores. Within six months Jimmy was the top-commissioned salesman and started training and developing the salesforce, which would dominate and become a household name. More recently, Jimmy has applied his sales method to the real estate industry with great success, achieving 392 closed sales transactions in two years. For decades has operated his own music retail operation and performed and recorded to the delight of music lovers worldwide. His recent book, “Rockin’ Selling Secrets,” explains in detail how he did it and how you can, too! BUY YOUR eBOOK COPY NOW! ONLY $5.99! BUY THE PRINT VERSION NOW! ONLY $12.95!